LOOK FOR US IN 2017!! Look for Johnny Lopez Soccer Tournament Spring 2017! Moorpark Soccer Club Express was established in 1985. Since that time, Moorpark Soccer Club continues to thrive, encouraging and promoting excellence in youth soccer. Lifetime Moorpark resident, Steve Lopez, was one of the founding members of the club. Steve Lopez and the Lopez family continue to be active within Moorpark Soccer Club and within the Moorpark community. 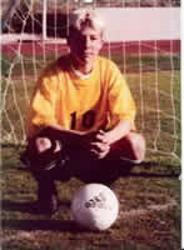 Steve Lopez's son, Johnny Lopez, played soccer with Moorpark Soccer Club until July 25, 1999, when Johnny passed away in a tragic motorcycle accident at the age of 17. Over 2000 people attended his funeral. Since Johnny's death, the Lopez family has awarded scholarships to Moorpark High School students involved in sports. These scholarships have been awarded in Johnny's memory and honor. After Johnny's death, Johnny was able to save lives as an organ donor. For this, Johnny Lopez was recently commemorated in the 2008 Rose Parade by Donate for Life. 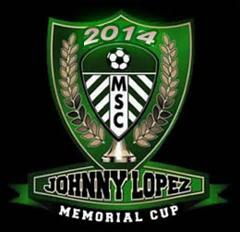 This soccer tournament is dedicated to the memory of Johnny Lopez and in thanks to Steve Lopez and the Lopez family. For a look at last year's competition, click here!